Legendary guitarist, singer/songwriter, Grammy winner, producer and Rock And Roll Hall Of Fame member Lindsey Buckingham has released his first ever solo acoustic live album, Lindsey Buckingham: One Man Show. The album, recorded live and in one take from his Hoyt Sherman Place show in Des Moines, Iowa on September 1st, is a raw and unmixed performance that includes many of his hits. Get One Man Show now, exclusively on iTunes. Buckingham is concluding his year long trek of sold out solo acoustic shows that have garnered rave reviews across the US. 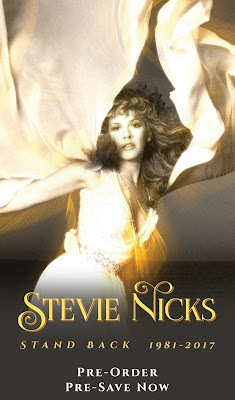 The intimate and stripped down setting on the road has truly displayed the immense talents of this legendary performer. 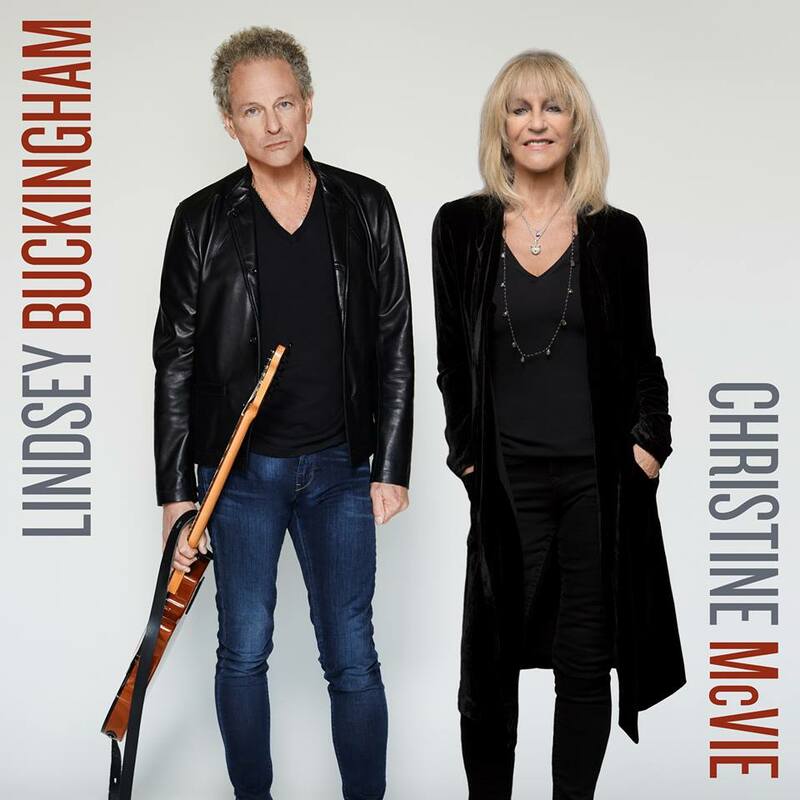 Extra's Adam Weissler talks to Lindsey Buckingham about the album and tour. What we have here are two realities of the digital age: a pair of splendidly recorded solo acoustic records by singer/songsmith/guitarists known far more for their work as members of cherished rock troupes than for music issued under their own names. Both works are available almost exclusively as downloads. 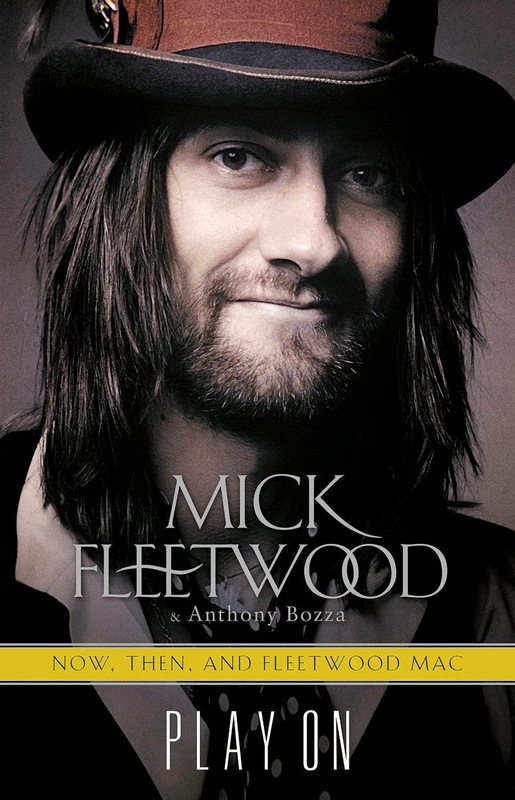 One Man Show is not some folkie reinvention of Buckingham's music in and out of Fleetwood Mac. It is, rather, what its title implies: an unaccompanied rock parade that just happens to be acoustic. From Buckingham's ageless vocal howl to guitar work that exerts itself with dizzying exactness, the record is steeped in frenzy. 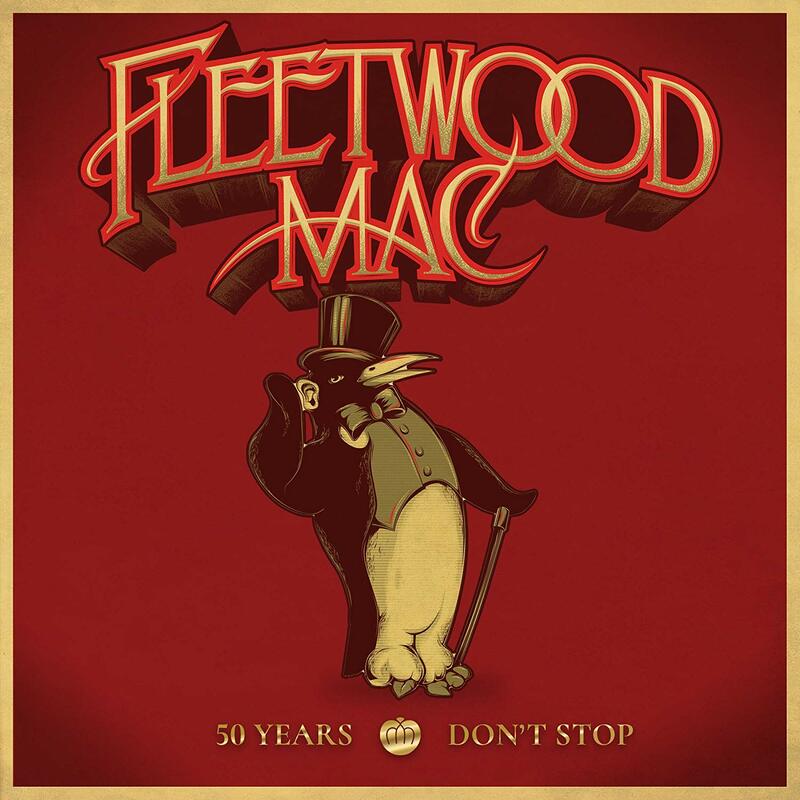 "I'm not a young man, but I'm a child in my soul," Lindsey Buckingham sings in "Not Too Late." Indeed, this lyric Lindsey Buckinghamperfectly summarizes his multifaceted career, one that has experienced fascinating twists and turns. 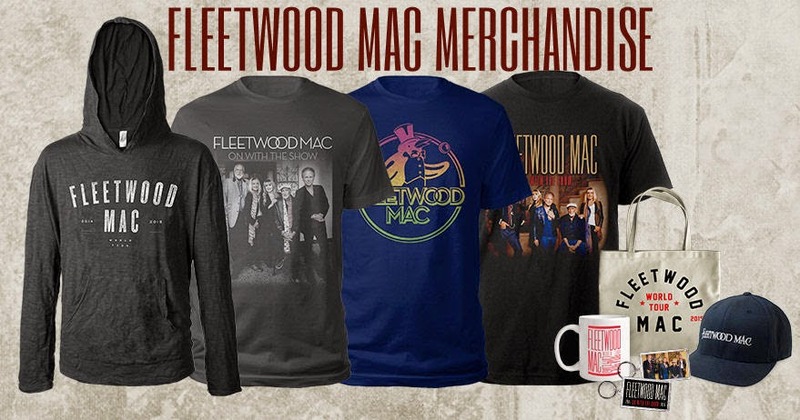 His guitar playing skills, highly personal songwriting, sometimes eccentric arrangements, and his emotional voice have added up to a sound that is uniquely Lindsey Buckingham, both with and without Fleetwood Mac. Time has found him downscaling production, letting his words and voice convey his complex themes. At the same time, his playing and singing have never sounded stronger, evoking the same rage and passion as in his younger days. His first solo acoustic live album, One Man Show, showcases his past successes and excitement for more musical experimentation in the future. 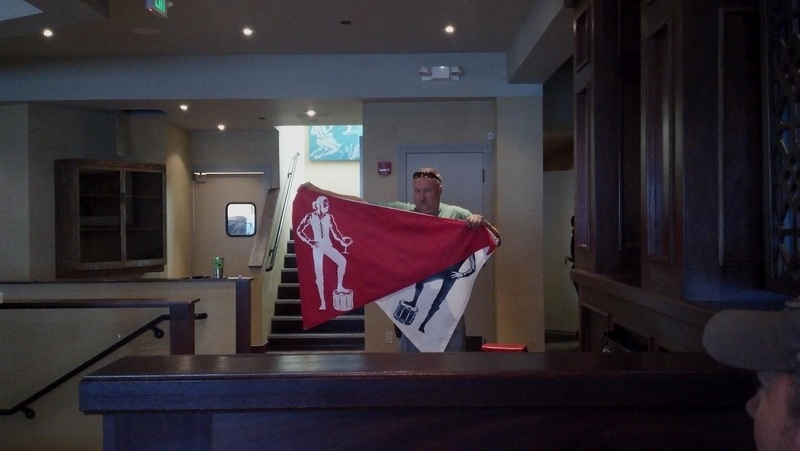 Unlike live albums that bear heavy editing, One Man Show encompasses an entire September 1, 2012 show from Des Moines, Iowa. According to Buckingham, the mix is "taken right off the console mix, with a couple of room mikes added in. It's live and raw, with no post-production." The result is a very intimate listening experience, sounding as if he is performing right in your living room. During the show, Buckingham draws from his group and solo years, re-imagining familiar hits and unearthing little-known album tracks. The entire album provides a rare peek into his creative process, his ability to lay his emotions bare in songs and even his often pounding guitar work. Highlights include the aforementioned "Not Too Late," a wistful track off his 2003 solo album Under the Skin. His lyrics embody characteristics of insecurity about aging and his legacy: "Reading the paper, saw a review/ Said I was a visionary, but nobody knew/ Now that's been a problem/ Feeling unseen," he wails plaintively. His hit single "Trouble" benefits from a much slower tempo and stripped-down arrangement, with Buckingham pitching down his voice to make the line "I think I'm in trouble" sound more ominous. Unlike the upbeat original, here he hestiates at diving headfirst into love's troubled waters. "It's been so long since I held ya/ I've forgotten what love is for," he sings, letting his voice tremble with desperation. 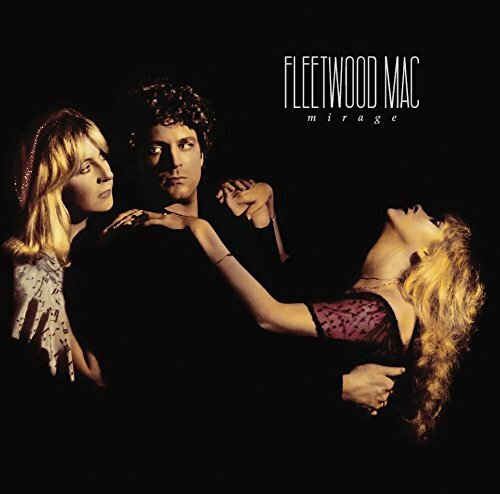 One track that undergoes a radical transformation is "Big Love," the 1987 Fleetwood Mac hit from Tango in the Night. The original suffered from over-bloated production; to rectify this wrong, Buckingham turns it into a virtual exorcism. His throbbing guitar lines propel the song (often sounding as if two or more guitarists are plucking along), his voice soars and dips, growling and screaming, adding new meaning to the lines "I wake up alone/ With it all/ I wake up/ But only to fall." Anyone who doubts Buckingham's talent as a guitarist need only listen to the track to be convinced. 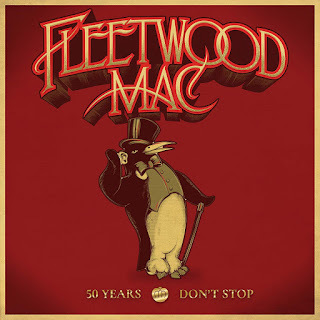 To satisfy the crowd, Buckingham includes the iconic Fleetwood Mac song "Go Your Own Way"; though he has undoubtedly performed this track several times, he still conjures up images of love gone sour by snarling words like "shacking up's all you want to do." At the same time, he demonstrates his ability to write tender, delicate songs as well, such as the underrated Rumours song "Never Going Back Again" or the lovely instrumental "Stephanie." 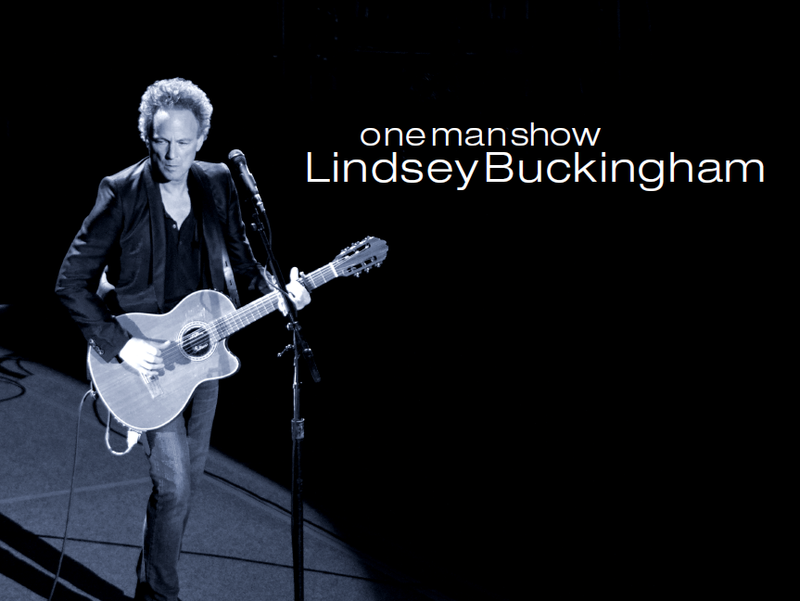 In sum, One Man Show serves as a master class in songwriting, musicianship, and singing. Buckingham has always been in a class of his own, forging his own unique creative path. This thoroughly enjoyable concert celebrates these qualities, and also demonstrates that he still has much music left in him. 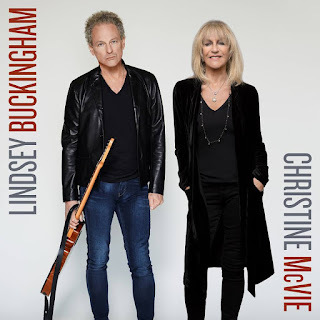 Lindsey Buckingham’s been going his own way ever since he traded in his swimming trunks for guitar. 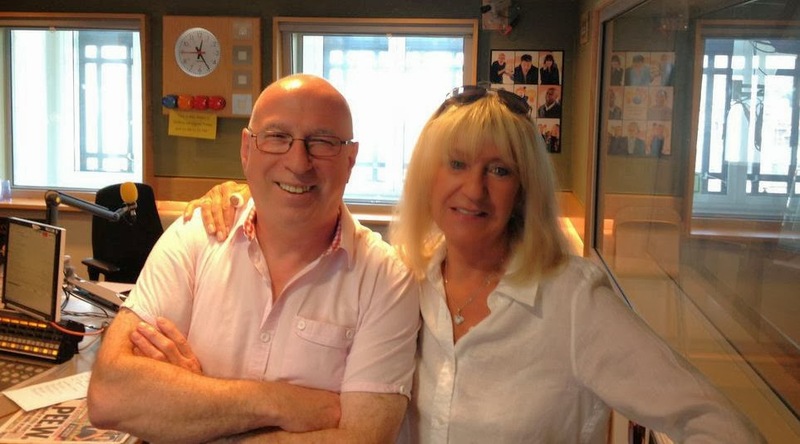 He’s been involved with Fleetwood Mac for thirty-five years, writing and orchestrating now classic albums like Rumours and Tusk with Stevie Nicks and Christine McVie. But Buckingham has always reserved his more unusual gems for solo albums like Law and Order (1981), Out of the Cradle (1992), and Under the Skin (2006). 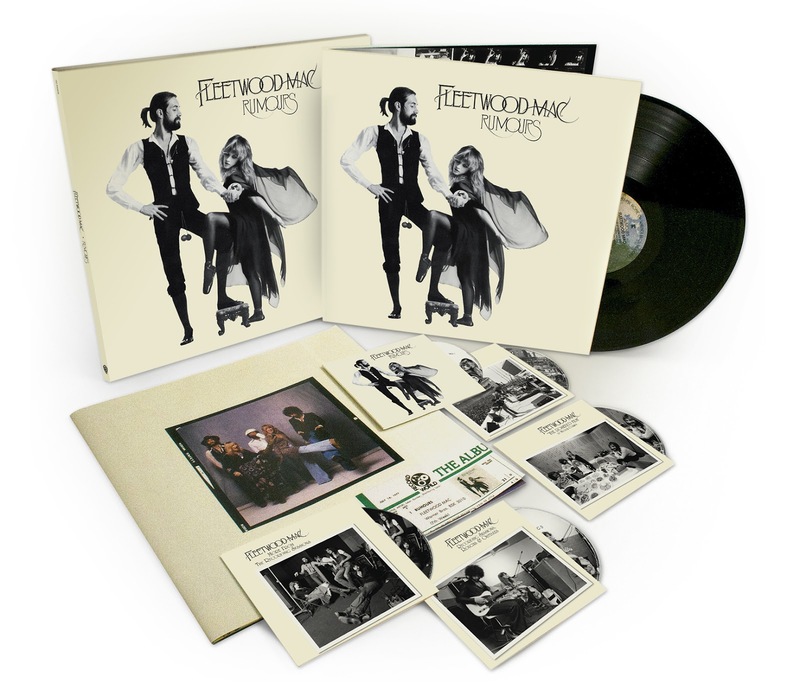 These albums still boast Lindsey’s uncanny pop sensibility—but their best bits are usually found in the darker, more introspective songs or quirky alterna-tunes that exploit technology (drum machines and synthesizers) or subvert established forms (folk ballads, twelve-bar blues, etc.). Buckingham released an excellent in-concert disc—Live at the Bass Performance Hall—a couple years back, but it wasn’t until 2011 that he gave longtime backup musicians Neale Heywood and Brett Tuggle a break and struck out alone. 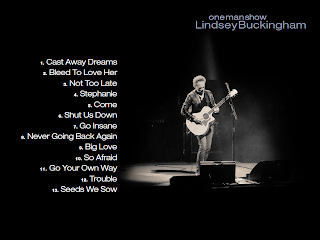 Now available exclusively on iTunes, Lindsey Buckingham: One Man Show captures the architect of Mac at a creative peak as he regales Des Moines, Iowa fans with just his voice and guitars. 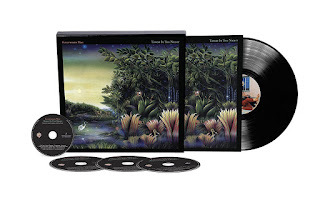 The digital album offers a baker’s dozen tracks from throughout Buckingham’s prodigious career, from the sparkling instrumental “Stephanie” (from the 1973 Buckingham Nicks LP) to the brooding—then uplifting—title track from last year’s terrific Seeds We Sow. 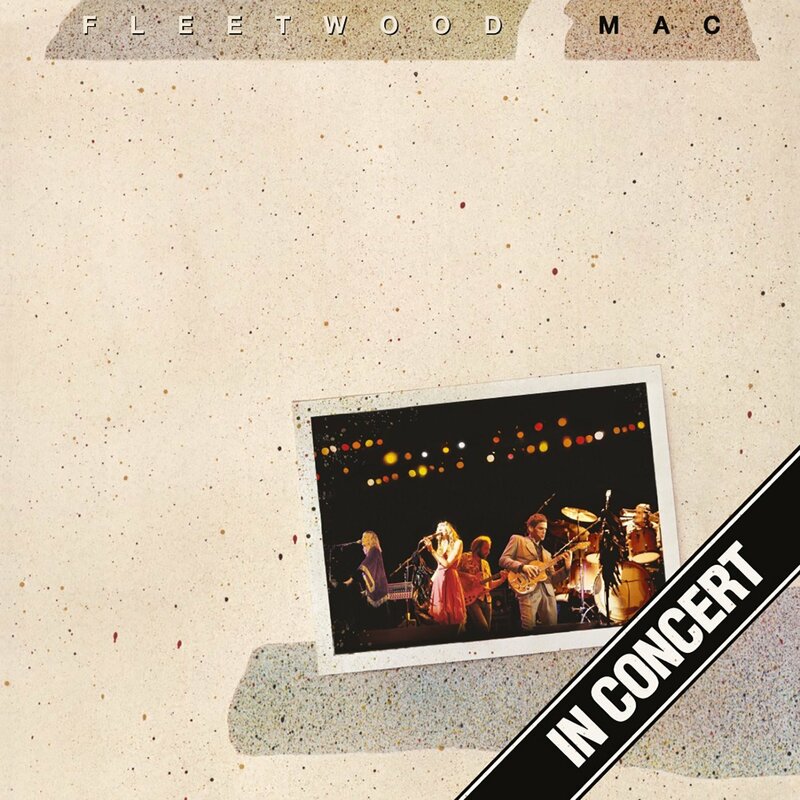 He even tosses in obligatory Mac fave “Go Your Own Way” by playing along with a recording of the song’s subtle (but crucial) contrapuntal rhythm guitar. The technique is used sparingly here, occurring only in spots where Buckingham needs the freedom to embark on one of his sensation lead guitar breaks. “Thank you for being part of this experiment I’m doing,” Lindsey greets the crowd at Hoyt Sherman Place. The finger-plucker explains the intimate, coffeehouse-styled shows comprise the next step in the evolution of his solo work—the modest “small machine” (versus Mac’s arena-rock colossus) wherein he funnels his innermost angst and outermost joys. Later, Buckingham surmises his independent work couldn’t have happened without Fleetwood Mac’s success, and notes how both worlds now coexist harmoniously. The shimmery “Not Too Late” finds the auteur questioning his motives after mulling a newspaper review. “Cast Away Dreams” bemoans another aspect of professional musicianship—extended touring—and the lasting effects on one’s home life. 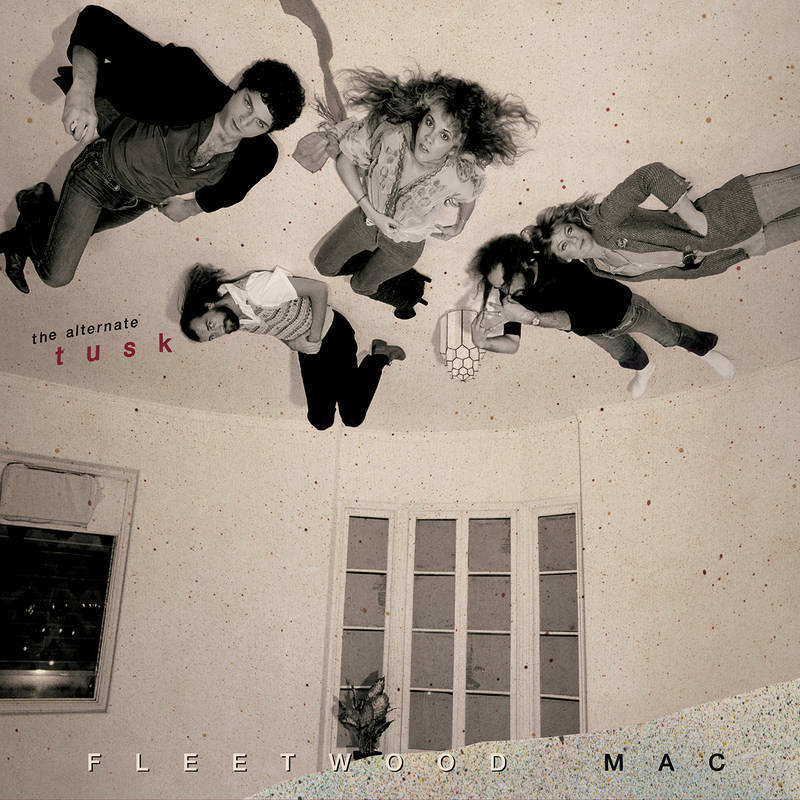 Originally destined for a solo album in the late 1990’s, “Bleed to Love Her” first appeared on Mac reunion disc The Dance before receiving proper studio treatment on 2003’s Say You Will. Here, the lovelorn piece vibrates with Buckingham’s syncopated finger-picking, and his voice builds to a spine-tingling crescendo. Buckingham uses the body of his guitar as a percussion instrument on the sinister “Come,” then unleashes an appropriately distorted torrent of solo notes beneath his own thick (electronically triggered) rhythm chords. “So Afraid” employs more of what late acoustic guitarist Michael Hedges described as a“heavy mental” approach, with bass strings growling and treble strings echoing in bold musical measures that sound anything but unplugged. Lindsey also indulges with three signature pieces. Bouncy Rumours chestnut “Never Going Back Again” benefits from a pretty, delicate new introduction, while artificial harmonics, clinical strumming, and hell-raising vocals transform “Go Insane” into a haunting elegy. Having already received an acoustic makeover in past concert sets (from its synth-pop beginning on Mac’s Tango in the Night), “Big Love” pulsates schizophrenically as Buckingham veers from a whisper to full-on primal screams. “I was looking out for love,” he says of the song’s inception. “Not looking for love, but looking out for it—pushing back, defending. Law and Order hit “Trouble” is re-imagined for the One Man encore, with Lindsey engaging some clever vocal inflections filling the sound with strings that buzz and reverberate in the mix. Buckingham’s solitary gambit works because the material (so strong and refreshingly different to begin with) really shines without all the bell and whistles. Stripped down to bare essentials, the songs more readily reveal their emotional essences—adorable and ugly—for the candid scrutiny of a one-take, untouched console recording. 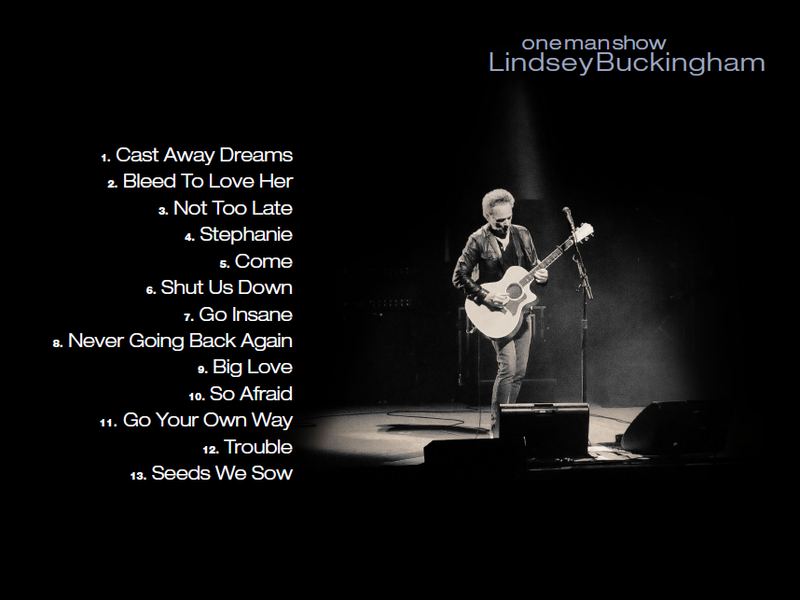 Lindsey Buckingham, on a brilliant new live acoustic album, redefines what’s at stake in his own songs — helping us not just to hear them in a new way, but to feel them in the same new way. That’s perhaps best heard on this album’s version of “Trouble,” once a No. 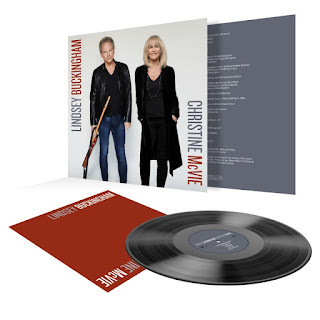 9 hit in 1981 and now reborn in this first-ever acoustic live album — done in one take, with no overdubs, from a concert in Des Moines, Iowa on September 1, 2012. Buckingham pulls every piece of the song apart, then reassembles it as something utterly different. Where he once sounded like he was in on the joke, like he could get past whatever that trouble was, now Buckingham sounds less sure. And that space between cocksure young man and graying middle-age uncertainty gives the song a fresh and thunderous power. Elsewhere, Buckingham’s pained cries, devastating and nakedly sensual, on “Bleed To Love Her” are bolstered by an insistent guitar figure that pulses like a thrumming heartbeat. “Never Going Back Again,” always an edgy, insulting retort as conveyed within the Fleetwood Mac show, here sounds like a desperately sad admission of guilt over another backslide. “So Afraid” is transformed from a molten expression of fury into something far more complex, with more doubt and less rage. Buckingham gives similarly raw, starkly heartfelt renditions of “Not Too Late,” the opening cut from his 2006′s solo album Under the Skin, “Come” from Fleetwood Mac’s 2003 effort Say You Will, and — in a special treat — “Stephanie,” a searching, deeply emotional leftover track from 1973′s pre-Fleetwood Mac Buckingham Nicks project. But those lesser-known cuts, perhaps understandably, hold less emotional resonance than do his radical reworkings of songs we’ve come to know and love — and this is where One Man Show, time and time again, not only delights but intrigues. Buckingham turns “Go Insane,” once a new wave-inspired No. 23 hit from 1984, into an angular, slow-motion meltdown — the sound of someone hanging by a trembling thread. “Big Love,” in a lean, fleet performance that’s not all that different from his solo turn during Fleetwood Mac’s more recent tours, is given a similarly comprehensive makeover. He closes this album — issued on Tuesday exclusively via iTunes — with a new version of the title track from 2011′s Seeds We Sow, Buckingham’s best solo effort in years. As hard-eyed and tough as that project could no doubt be, as brave in its unwillingness to concede any damn thing to the sands of time and regret and memory, this new version of “Seeds” provides — once more — its own glimpse into the heart of the matter. As Buckingham sings about a glowing dream, of being reached for in the middle of the night by a lost love, you sense how hard it is sometimes to keep moving forward. Even when he knows he must. That Buckingham keeps making that leap, time and time again, whatever the risks, is what makes his work so compulsively enjoyable. Please can we have this released on CD - I have tried to get this on download and it is impossible now. Thank you. I've got it if you want it? That's if you don't have it by now. Is this available on CD....anywhere? ?